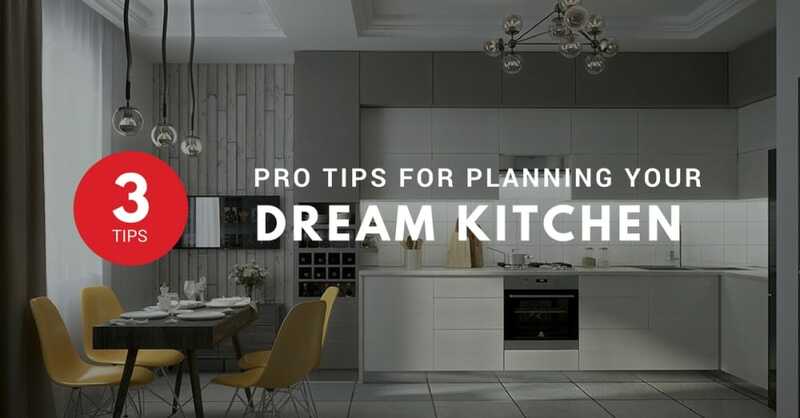 When designing your dream kitchen, your wish list should comprise of the main points or problems you want to address when it comes to your new renovation or appliance replacement. Should you use a designer or go solo? This is a major question many homeowners come against when it comes time for their kitchen renovation. Using a designer obviously comes with an added cost, but the benefits of hiring a professional certainly shouldn’t be ignored. Not only will they help you avoid common issues (such as a kitchen island that blocks the refrigerator door from fully opening), but they can help you make efficient use of your kitchen without sacrificing features, all while helping bring style and cohesive design to your space. Additionally, they can help you ensure that all of your hookups and appliances are up to code—this is particularly helpful when it comes to ventilation, which can be tricky to understand and implement effectively. This is an important consideration, because if you’re a single person who usually cooks for just one or two, you probably don’t need a massive eight-burner double range or a stacked oven set. Think about which appliances you use most, how you use them, and how much food you’re preparing on a regular basis. This will help narrow down the types and sizes of appliances you need. What do you like about your current appliances, and what do you wish you had? It’s vital to make a list of the features you want to maintain in your switch from old appliances to new, as well as the features you’ve been missing that are must-haves with your new replacements. Try to consider features and elements that might not be obvious, like web or Bluetooth connectivity, or special cooking programs that will make kitchen time more convenient. You’re going to be spending a great deal of time in your new kitchen, so it’s important that you don’t go just for the utilitarian option that’s feature-heavy but devoid of your own personal style. Take the time to consider what kind of kitchen you want to cook and spend time in, and you’ll thank yourself down the line. Are you a serious chef or baker who’s all about the power? Then go for a pro style kitchen, with powerful appliances designed for efficiency, output, and intuitive design. Creating a kitchen that matches your cooking ambition will be thrilling and satisfying for years to come. If you’re a cutting-edge modernist who likes the sleek, sophisticated look of European and contemporary design, then your kitchen can and should reflect that aesthetic. This style is all about clean, beautiful lines and a minimalist approach. For traditionalists, the cutting-edge contemporary style might feel a bit clinical. If that describes you, then you should find appliances and renovation designs that feel warm, comfortable and lived-in, without sacrificing quality and style. What is your preferred brand or set of brands? Everyone has their go-to brand name that they trust to provide them with the style and features they love. Keep an open mind about brands you might not have considered, but trust your instincts, too. If there’s a brand you absolutely love, there’s probably good reason for it. But try to make a shortlist of a few brands in different price ranges so that you have some options. Are you a techno-whiz, or do you prefer the simple things? In modern appliance design, there is certainly no shortage of high-tech options available across a wide range of brands and products. We mentioned wireless connectivity earlier, but other cutting-edge features include ultra-precise temperature control, dozens of unique cooking presets, refrigerators with built-in cameras and digital displays, and much more. These features can make your kitchen intuitive, convenient, and highly effective to use. However, if you’re less familiar with modern technology or just prefer a straightforward kitchen and cooking experience, features like these might only prove to distract, frustrate, or irritate you. Consider which kind of user you are before selecting appliances with hi-tech functionality.